Tlacotalpan is one of the prettiest towns you could find anywhere. 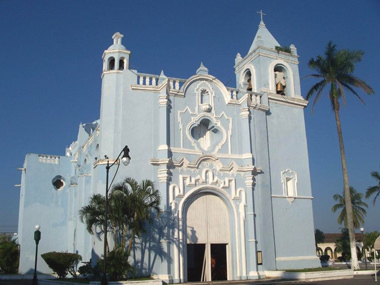 Located on the banks of the Papaloapan River, it is 50 miles southeast of the city of Veracruz. With its vibrantly painted houses in tones of aqua, lime green, rose pink and yellow, it is picture-book perfect. 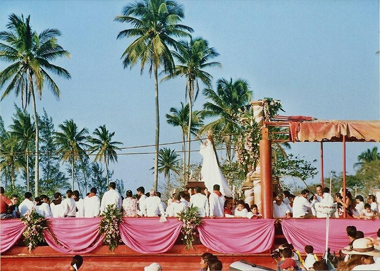 It is entirely fitting that such a celebration takes place on the river: “Tlacotalpan” in the Nahuatl language means “place between the rivers,” and from pre-Hispanic times, the Papaloapan River has played a central role in the lives of the town’s inhabitants. The river has not always been benign, however; it frequently overflowed its banks, causing “deadly” flooding. It was at these times that Our Lady’s protection was particularly invoked. It is believed that this was the origin of the river procession: that Our Lady would bless not only the waters and the fishing but all of the people in its wake. nated from Spain. So appealing was this statue that it became the impetus for the rebuilding of the present-day church of La Candeleria which was completed in 17 79 . Almost 200 years old, the statue’s face and expression are those of a “modern-day” young woman. She looks not at all ethereal, but like someone you could meet at the local supermarket any day of the week. The tall, slender figure has enormous, expressive eyes and delicate facial features, with just the hint of a smile. And something else: Our Lady is holding her Infant Son in a manner different from other statues—it is as though she is presenting Him to the world, tous in the pews, or to the Lord. Which is appropriate: this, after all, is what the Feast of the Presentation is all about. 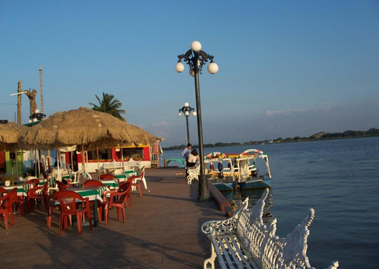 The festivities in Tlacotalpan take place over a period of days. Bands, fireworks, symphony orchestras, Fandango dances, theatre groups, and the “running of the bulls” are all part of the celebrations. 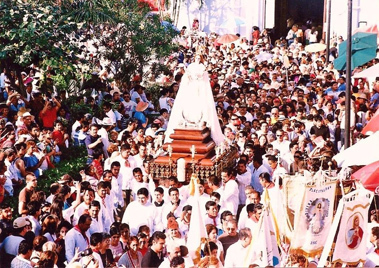 But February 2 is the focus of it all; At dusk on this day, La Candeleria is escorted from her sumptuously elegant church to the wharf; there she begins her annual pilgrimage on the waters. Thousands of candlelights flicker through the night sky as the Virgin glides serenely down the river, bestowing her blessings on all . Candles have been associated with the Feast of the Presentation for centuries. They symbolize Christ as the Light of the world. 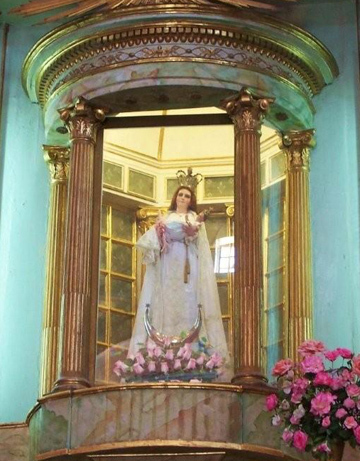 Spanish poet Julio Sesto wrote these words after visiting Tlacotalpan: “Oh, my brother, if you are weary of suffering, go to the Papaloapan—everything is cured in Tlacotalpan, everything is forgotten.” Where Our Lady of the Candles ( La Candeleria) is always ready to lend a helping hand.